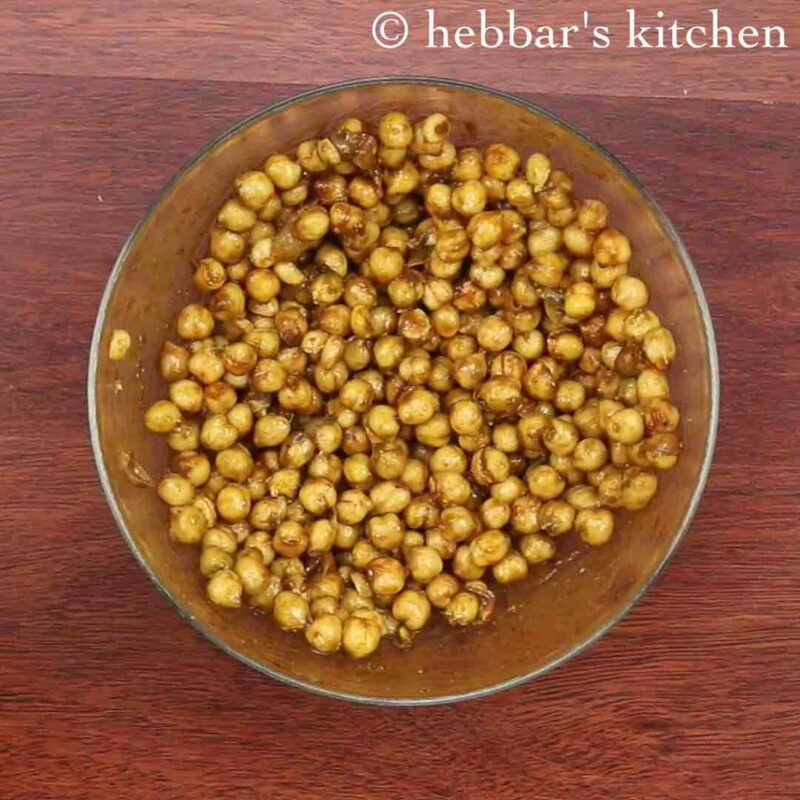 chana chaat recipe | chole chaat recipe | chickpea chaat with detailed photo and video recipe. 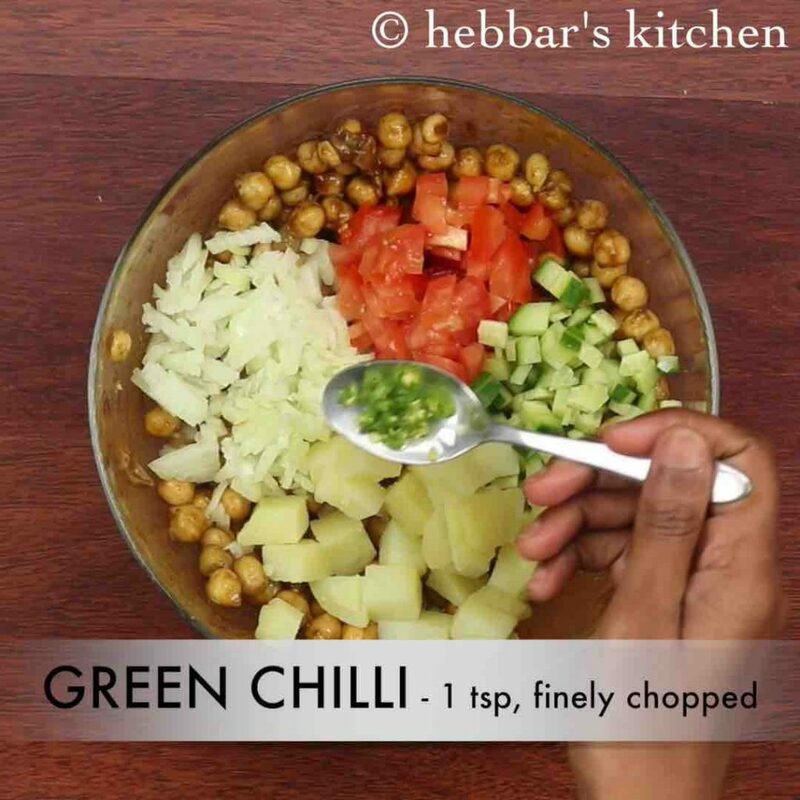 perhaps one of the easiest yet tasty chaat recipes which can be prepared in minutes. typically it is served as evening snack with lip smacking chaat spices and chutney, but can also be served as healthy salad. the recipe can also be easily extended by adding sprouts along with aloo to prepare healthy aloo chana chaat recipe. 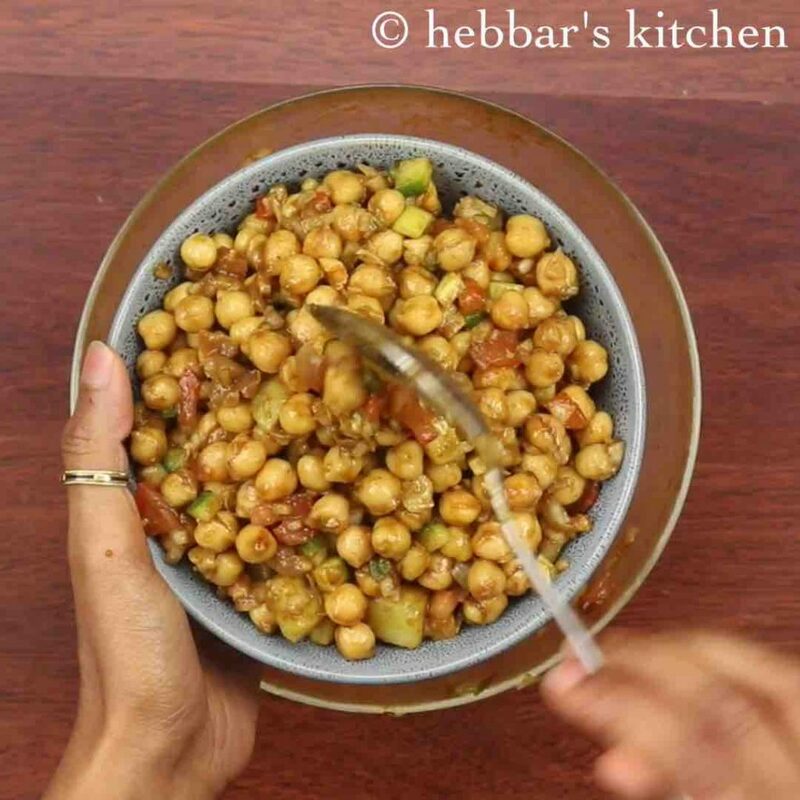 chana chaat recipe | chole chaat recipe | chickpea chaat with step by step photo and video recipe. traditionally the chaat recipes are high in spice and masala without any direct or indirect health benefits. 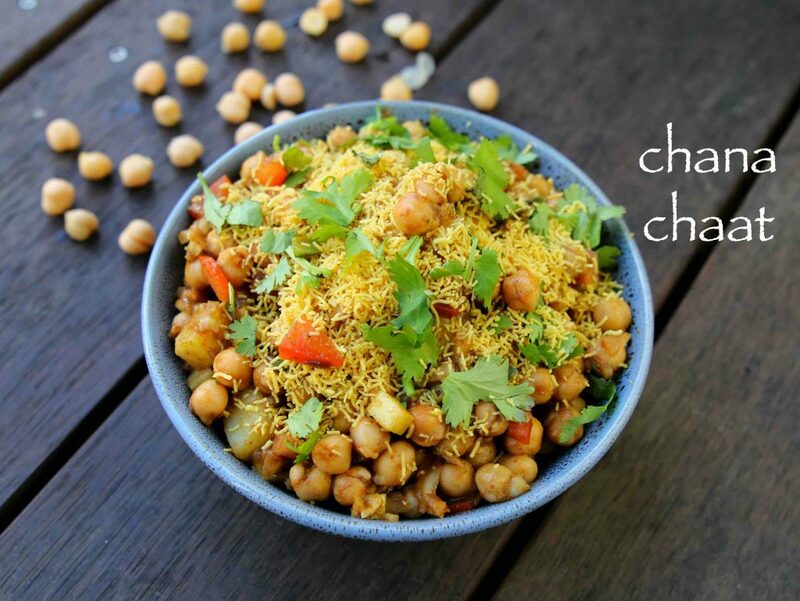 however chana chaat is one such recipe which is not only a lip smacking chaat recipe, but also high in proteins. hence it is also consumed as an healthy salad for lunch and dinners. 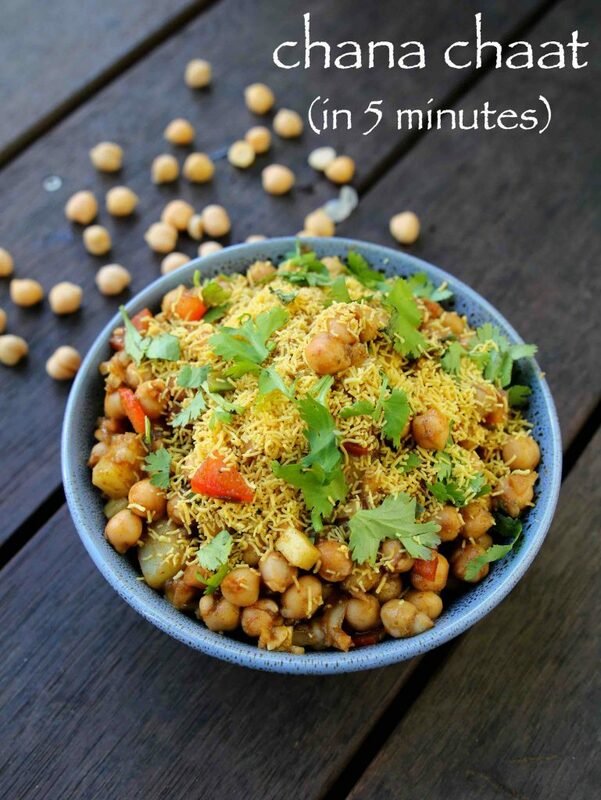 the recipe for chana chaat recipe is very simple. the recipe begins soaking the kabuli chaana with sufficient water. ideally 8 hours of soaking is more than enough but soaking for an extra 1-2 hours does not harm. 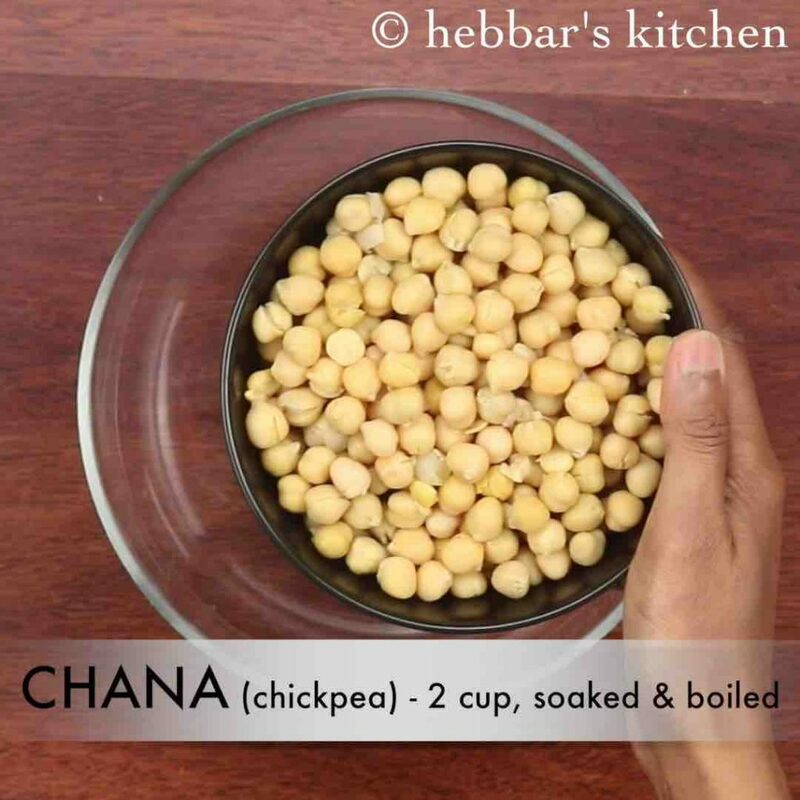 alternatively canned chickpea’s can also be used and the entire soaking process can be skipped. further the soaked chickpea is boiled and cooked for 3-4 whistles in pressure cooker which makes it soft and tender. once it cooked chickpea’s are cooled down, it would be tossed with finely chopped onions, tomatoes, chaat chutney’s like green chutney, tamarind chutney. finally it is dressed with fine nylon sev and garnished with coriander leaves. optionally sprinkle some chaat masala on top it for a chatpata taste. the chole chaat is ready to be served! 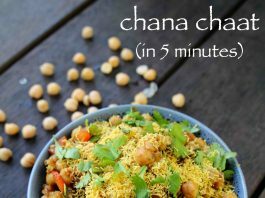 furthermore some easy ideas and tips to extend and for variation of chana chaat recipe. firstly, as mentioned previously the recipe can be easily extended by adding sprouts to prepare healthy aloo chole chaat recipe. in addition you can dress the aloo chana chaat with some puri’s and mixture / farsan. secondly, if you are serving it as a salad then i would recommend you to skip the chaat chutney and spices. alternatively use lemon juice / amchur, green chilies and also some boiled sweet corns to make it a healthy afternoon salad recipe. lastly, you can easily extend the leftover chana chaat recipe by tossing it in a tomato and onion based gravy to prepare chole masala recipe. firstly, in a large mixing bowl take 2 cup soaked and boiled chana. i have soaked chana for 8 hours and pressure cooked for 4 whistles. 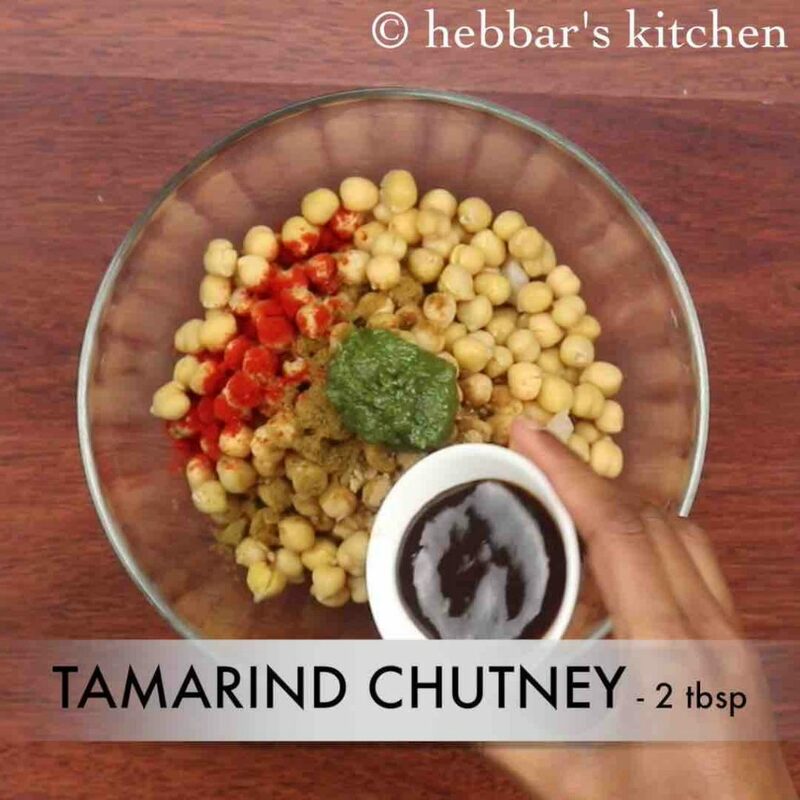 further add ½ tsp chilli powder, ¼ tsp cumin powder, ½ tsp chaat masala, 1 tsp green chutney, 2 tbsp tamarind chutney and ¼ tsp salt. also add in 2 tbsp onion, 2 tbsp tomato, 3 tbsp potato, 2 tbsp cucumber and 1 green chilli. combine well and transfer to a serving bowl. just before serving, top with 2 tbsp sev and 1 tbsp coriander leaves. finally, serve chana chaat / chole chaat with a cup of hot chai. firstly, adjust the amount of green chuntey depending on spice you are looking for. adding potato is optional, however it enhances the flavour of aloo chana chaat recipe. 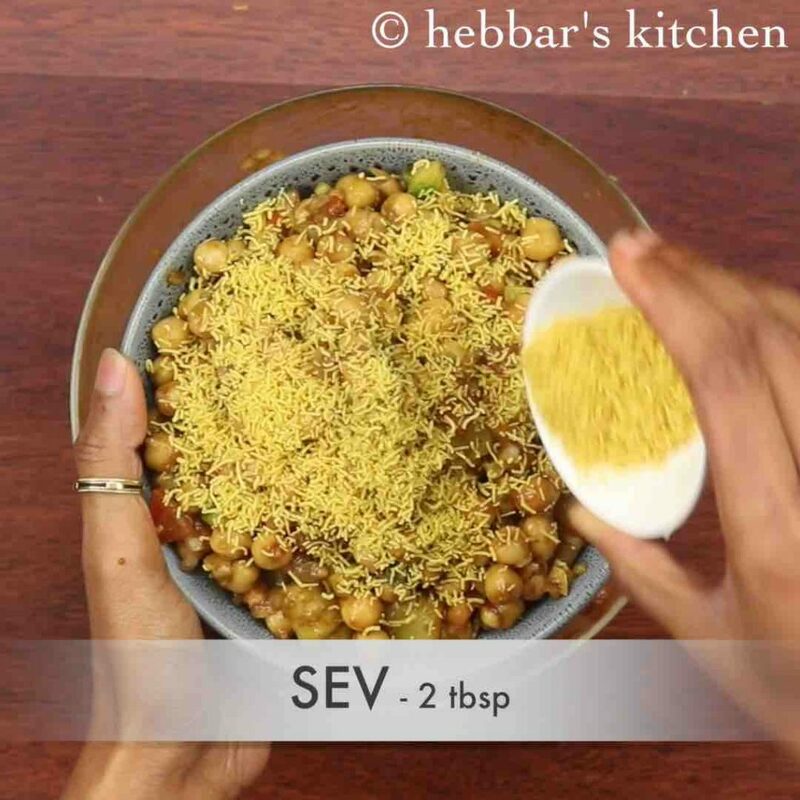 furthermore, prepare the chana chaat mixture before in hand, and top with sev just before serving. finally, chana chaat recipe / chole chaat recipe taste great when chana is slightly warm. hey..thanks for the recipe, i tried this…my all frnds liked it…most of the recipe i cooked at home and everyone liked it..your potato nugget, ras malai, mango kulfi, bread bada, peanut chat also..yuummm..i got lots of compliments …. Heyy I just love your videos and receipes.I admire the way you make cooking so easy for the learners.Keep posting. I’m a big fan of your’s channel. post the receipe for Sizzlers too.They’re mine favorite ones. Hi, thanks for the recipe, it was awesome my parents liked it. Is Sona Masuri Rice a brand name? could you use any other rice then using sona masuri rice??? yes its a rice brand name..you can use dosa rice too..